Medgar Evers was born in Decatur, Mississippi on 2nd July, 1925. He served in the United States Army during the Second World War and after he returned in 1946 he found employment selling insurance. Evers joined the National Association for the Advancement of Coloured People (NAACP) and helped organize chapters all over Mississippi. In 1954 the NAACP employed Evers as its full-time state field secretary. 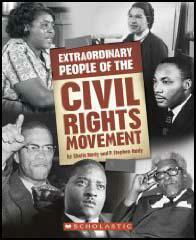 This main involved Evers in monitoring, collecting and publicizing data concerning civil rights violations. Although the national leadership of the NAACP opposed mass direct action, Evers also organized and participated in sit-in protests against segregation in Mississippi. As a result of this Evers suffered several beatings and spells in prison. Despite several warnings from local white racist groups, Evers continued to organize protests against Jim Crow laws in Mississippi. On 11th June 1963 Lena Horne arranged to speak on the same platform as Medgar Evers. That night he was murdered in the driveway of his home. Horne said: "Nobody black or white who really believes in democracy can stand aside now; everybody's got to stand up and be counted." Byron de La Beckworth, a white segregationist, was charged with the crime but the case ended in two hung juries but was convicted in a third trial held in 1994.